There are typos. And then there are typos. Caltrans could have sure used spellcheck when putting up a new green highway sign Wednesday night on the northbound side of Interstate Highway 880. 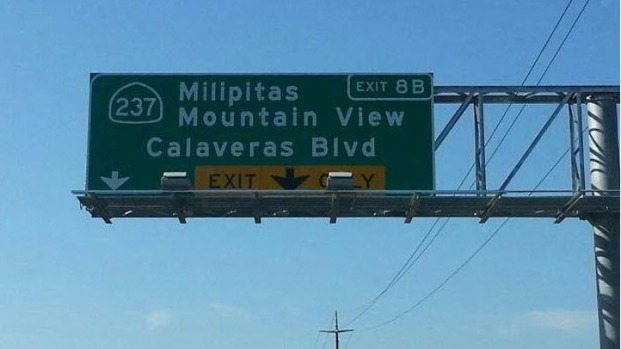 Instead of directing people to Milpitas off state route 237, the sign directs them to "Milipitas," with an extra "i." An alert motorist with excellent spelling skills notified NBC Bay Area about the mistake on Thursday. NBC Bay Area then alerted Caltrans, who said the news agency was the first to report it, according to spokesman Bernard Walik. Before noon, the misspelling was covered in white plastic. The sign should be fixed in a month. Walik said there would be no cost to taxpayers, because the contractor who made the mistake will have to remedy it on his own. "People were calling me and saying, 'Is it really Mili-pitas?' " Mayor Jose Esteves said, emphasizing the mispronounciation. "I told them it's M-I-L-I-P-I-T-A-S....We can't really afford this mistake." Esteves is also worried that the white plastic covering up the sign will make drivers miss their exit. Caltrans spokesman David Anderson said the state agency doesn't keep track of misspelled sign bloopers because they are so rare. But this is certainly not the first misspelled road sign. Google images is full of signs with mistakes. Ironically, the very low-tech error, was made in a city known for high-tech giants. 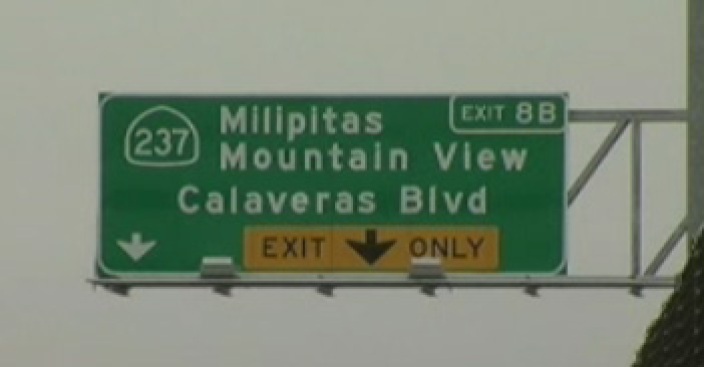 Milpitas sits in the heart of Silicon Valley and is home to Cisco Systems and SanDisk.